An historic new release celebrating the career of one of television’s greatest composers and featuring an extensive collection of music from 10 of his Barry Gray/ Gerry Anderson collaborations. Featuring forty tracks, including unreleased material, newly discovered mixes and an extensive booklet packed with memorabilia, as well as track by track notation from Barry Gray archivist Ralph Titterton. Highlights include music from The Secret Service and UFO, different title themes and library tracks used for Supercar and Fireball XL5. 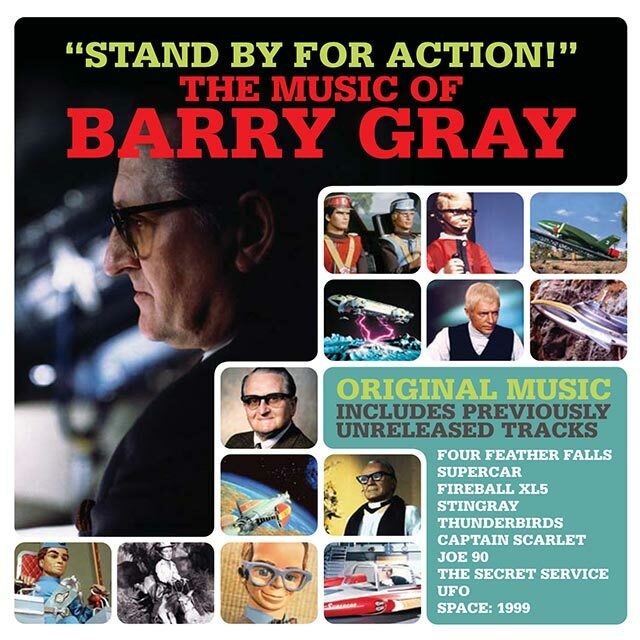 Composer Barry Gray’s 20 year association with television and film producer Gerry Anderson spanned such unforgettable TV shows as Stingray, Joe 90, Captain Scarlet, UFO and Space:1999. Many of the recordings have never been made available commercially before and have been carefully restored and edited from Gray’s own archives courtesy of The Barry Gray Estate and ITV Global Entertainment. 10. Stingray – Stand By For Action!